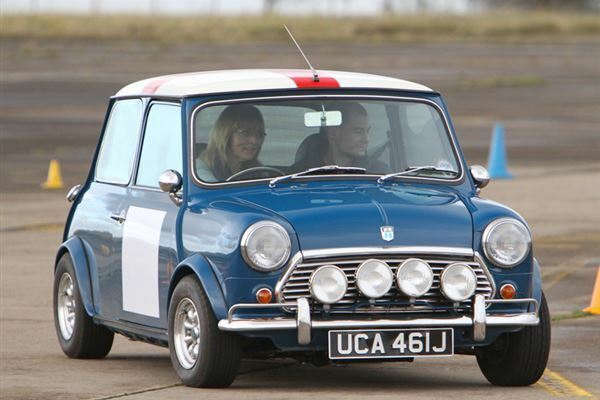 The Mini is probably the most iconic compact car of all time, forever immortalised by being the car of choice for Michael Cain in the 60's hit film the Italian Job. Drive this pocket rocket for 6 laps at Heyford Park. You can order a 10-month open Gift Voucher or select any available Friday. You can upgrade to book a Saturday for £25.00. You can add a high speed passenger ride for £10. You must hold a full driving license and be legal to drive on the UK roads. The restrictions for all the vehicles and equipment are height between 4'11” – 6’6” and weight below 17 stone. Please check before you book that you meet the requirements. You can upgrade to a Saturday date for £25. Selected Fridays from March to November. Selected Saturday dates are available if the upgrade fee is paid. There will be the opportunity to buy still photos on the day, prices starting at £15. A damage waiver will be offered to all participants during the sign in process. The participant is not covered for damage unless they take out this waiver, and could be liable for an excess of up to £5000 per vehicle. The cost of the waiver is £25 for 1 car and £5 for every other car driven and will cover you for accidental damage costs. It will not cover damage caused as a result of the driver wilfully disobeying the instructor or wilfully driving outside the limits imposed. Let your child loose in a Nissan GTR with an instructor by their side for the drive of their life at Prestwold Hall in Leicestershire. 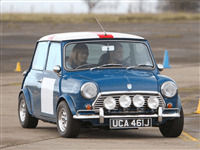 The solo Rally half day experience gives you the venue to yourself for one on one tuition from a former Rally driver. Hold on tight as you experience the drifting passenger ride around the twists and turns of Bovingdon Airfield in Hertfordshire. Ideal gift for children aged 6 and above anyone who doesn't hold a driving license. Experience gift vouchers valid for 10 months.